For several years, a group of about 5,000 former NFL players have battled the league in a class action lawsuit over concussion-related injuries (In re: National Football League Players’ Concussion Injury Litigation MDL No. 2323). 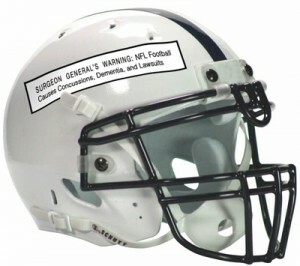 The plaintiffs sued the NFL in the Federal Eastern District Court of Pennsylvania in Philadelphia claiming that it actively hid the medical risks associated with repeated concussions and was not providing healthcare coverage rightfully owed to former players diagnosed with severe neurological disabilities as a result of playing the game. Yet rather than proceed to the Super Bowl of football litigation, the parties reached an agreement that the Hon. Anita B. Brody approved on 22 April 2015, which has since been appealed to the Third Circuit. As a guest columnist for the World Sports Law Report, Steve explained the background to the settlement, the disagreement that has seen some members opt out of the settlement, and considers whether this settlement could serve as a framework for future concussion litigation settlements at an international level. Check it out here: World Sports Law Report Volume 13, Issue 5.